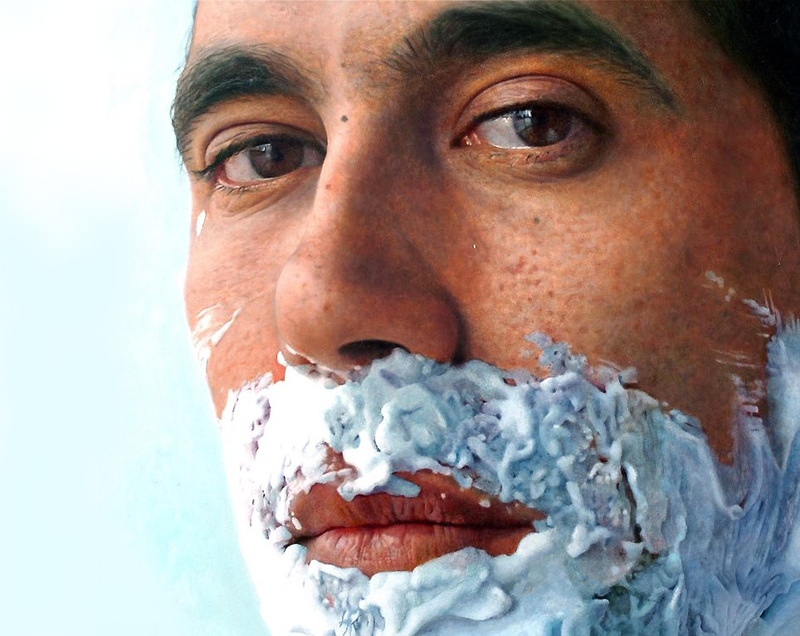 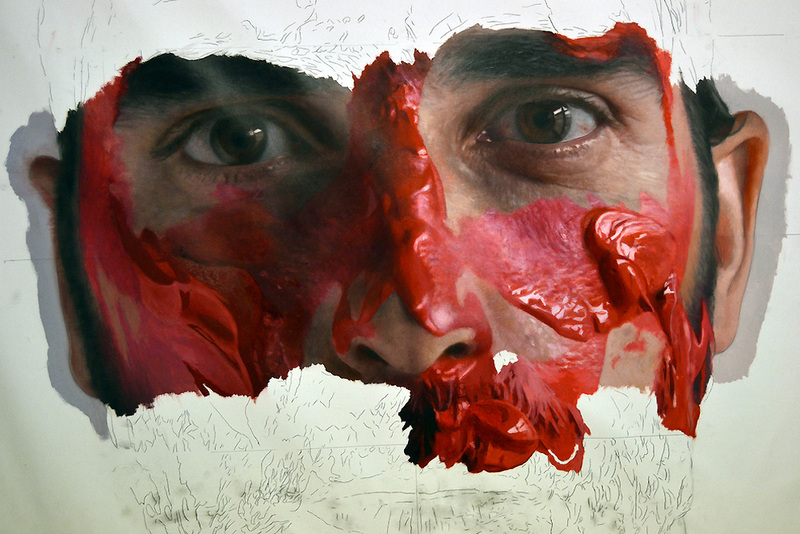 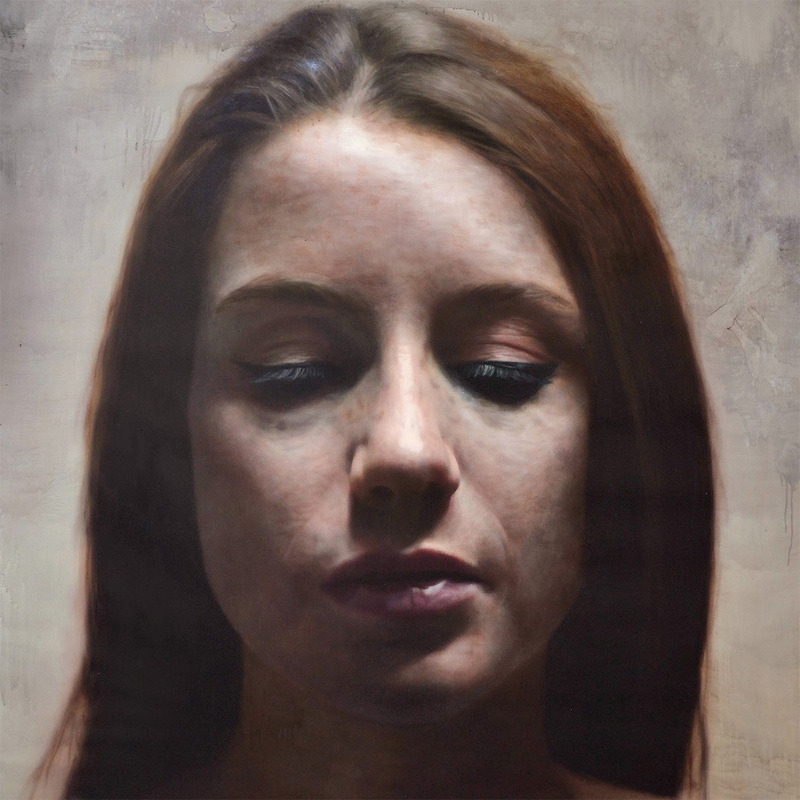 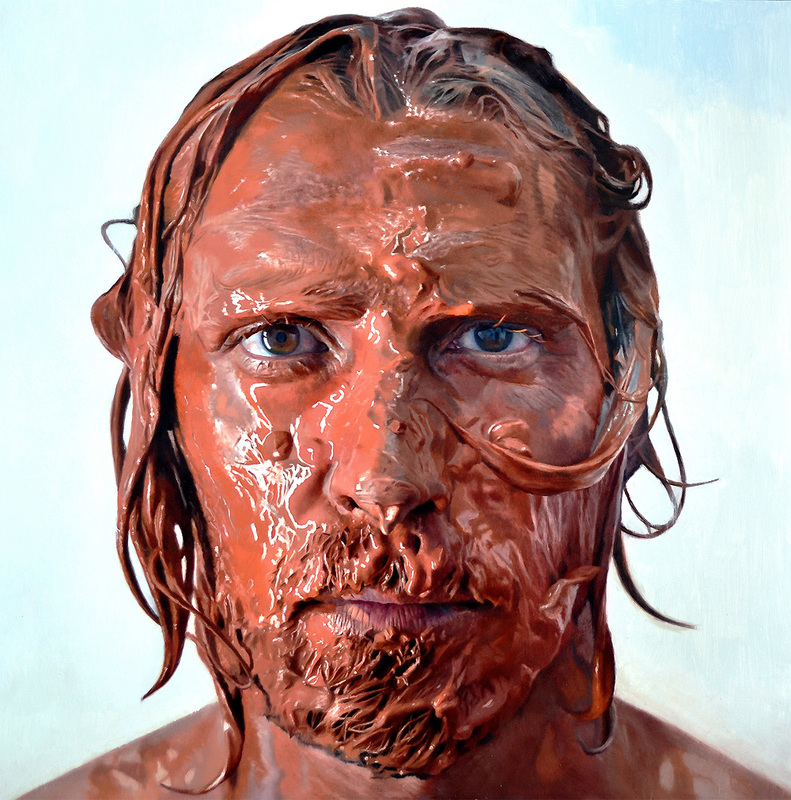 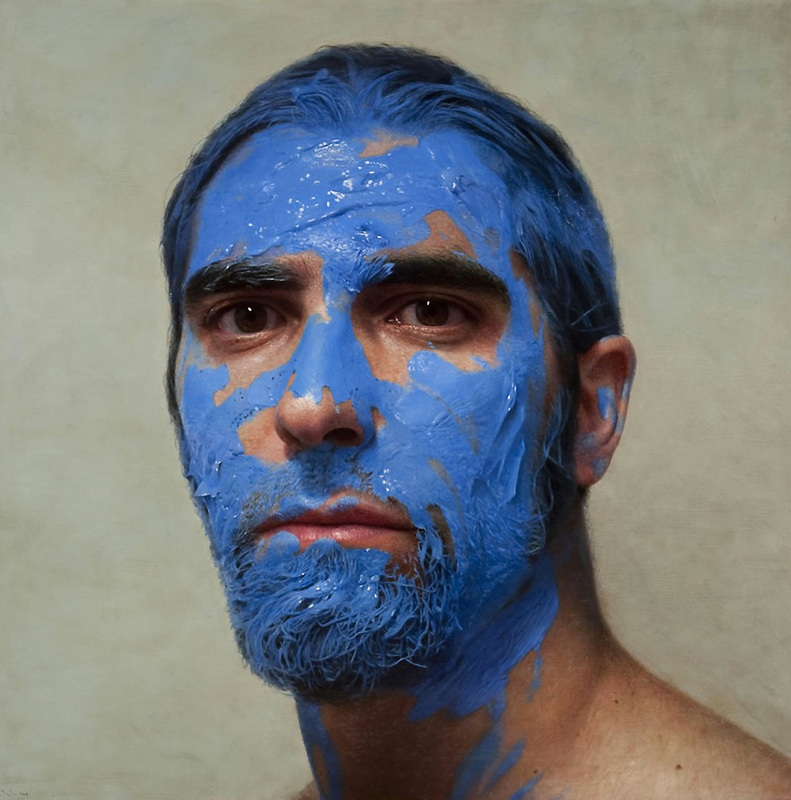 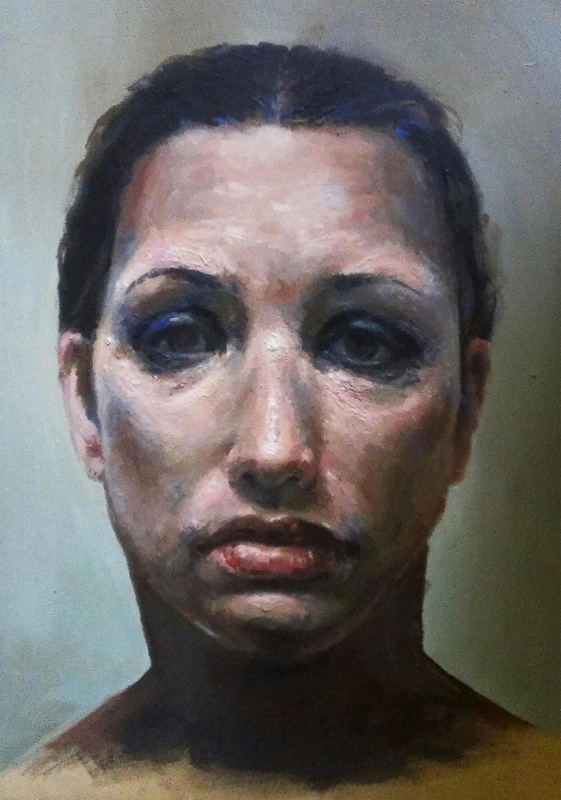 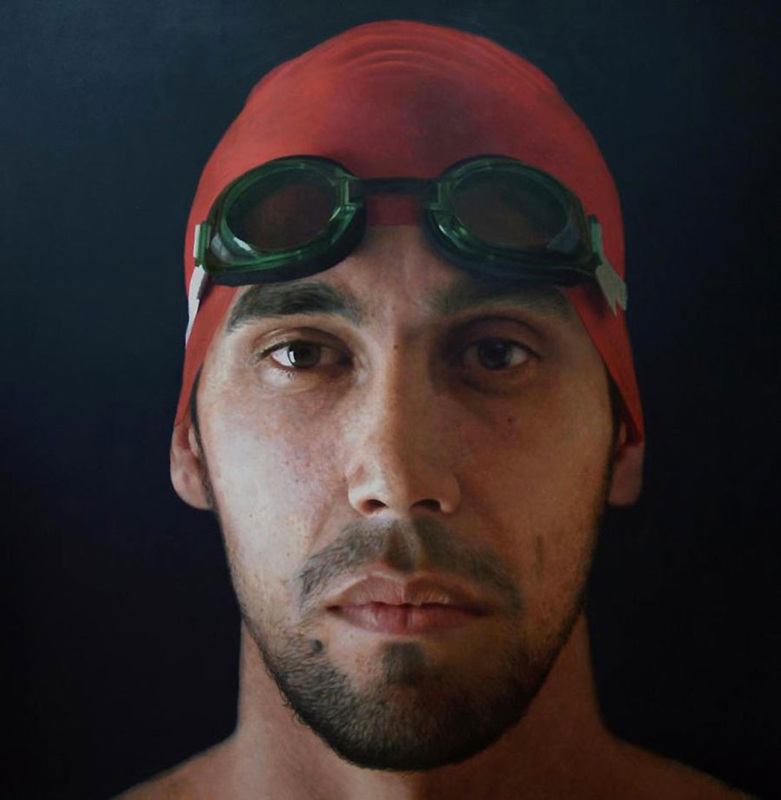 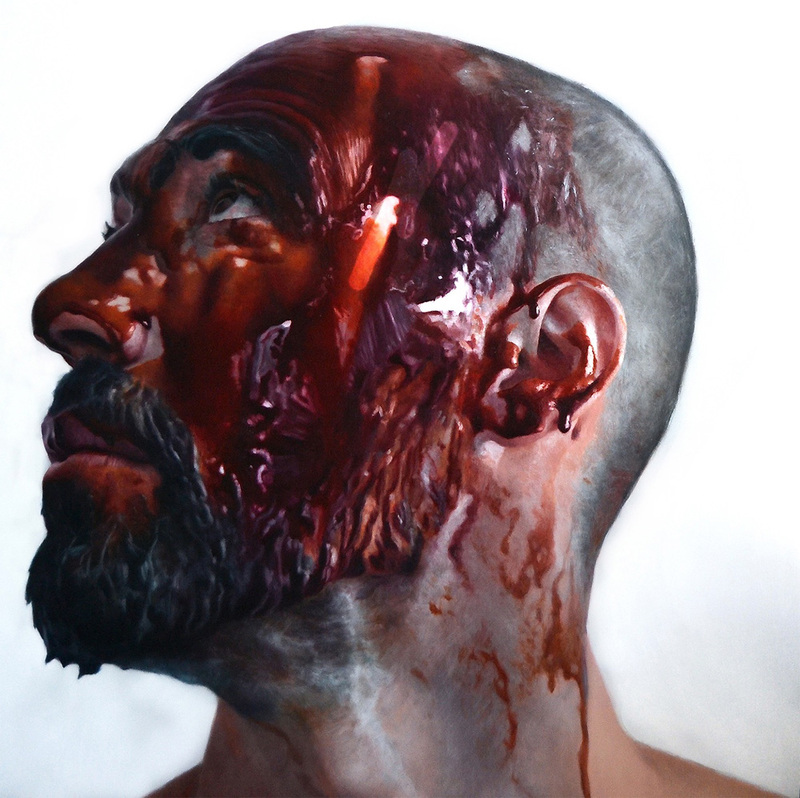 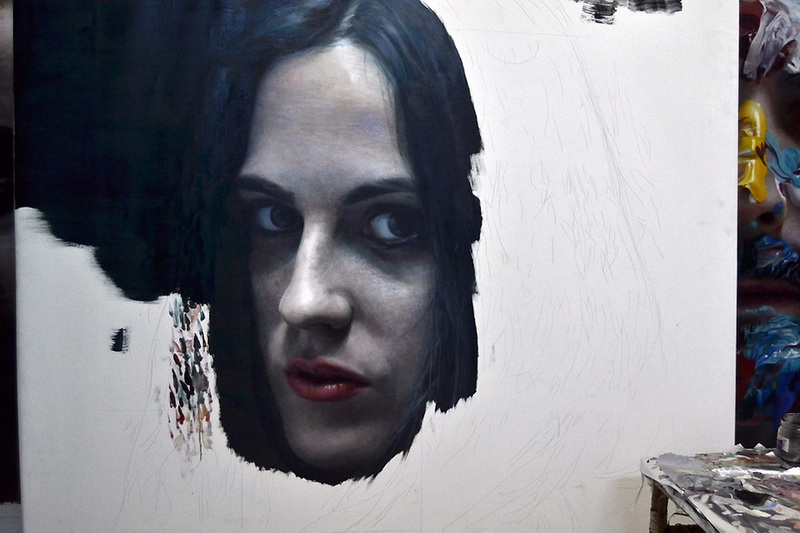 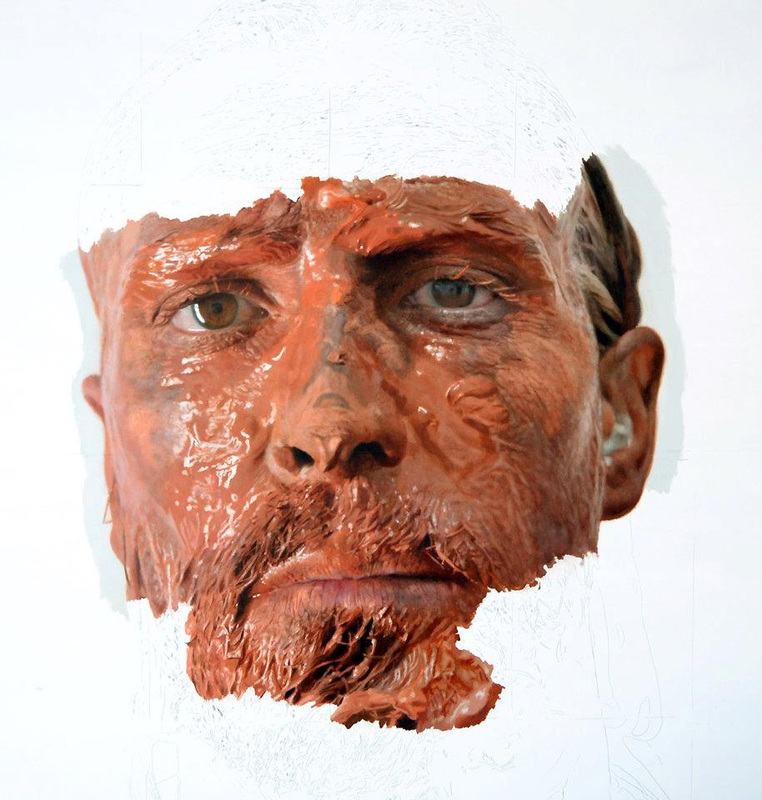 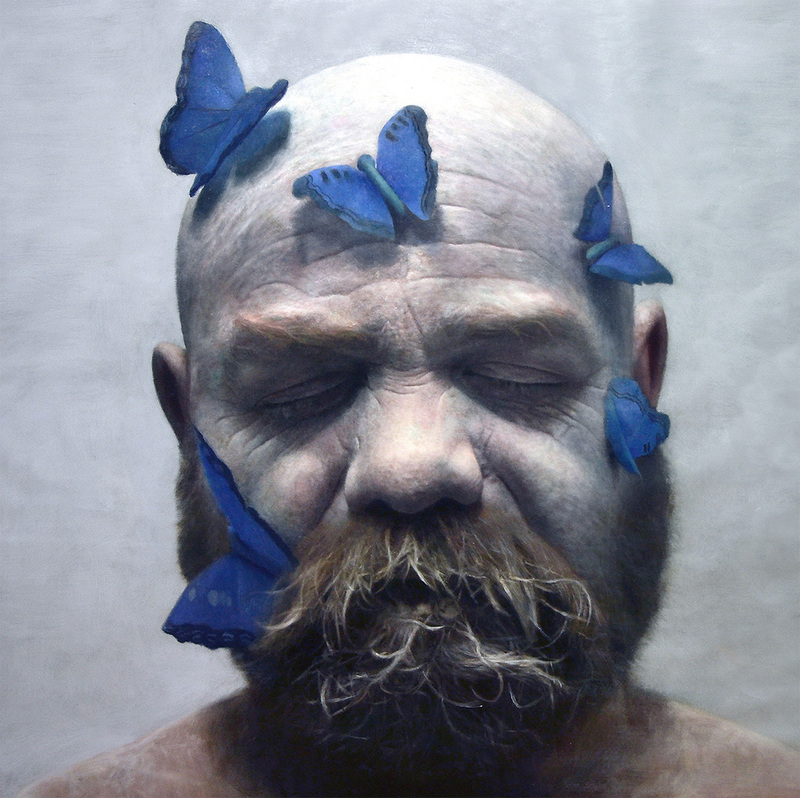 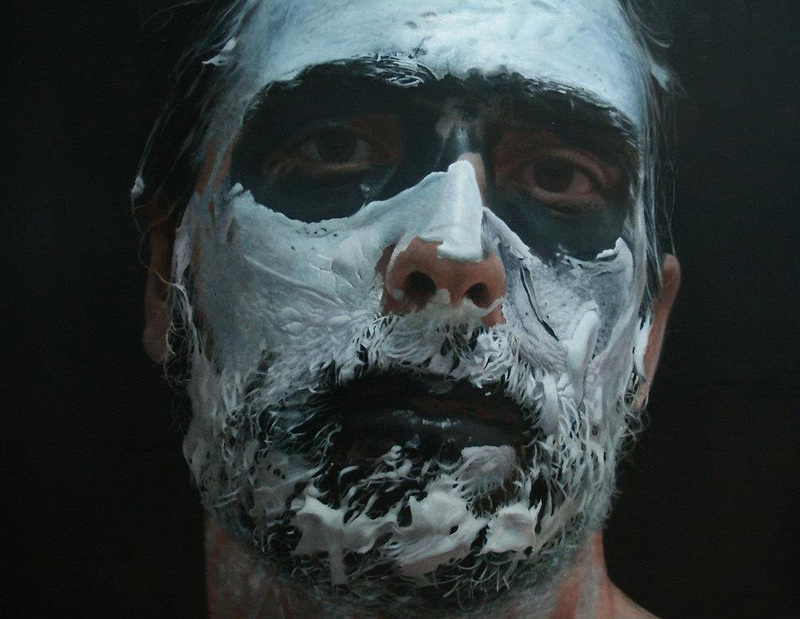 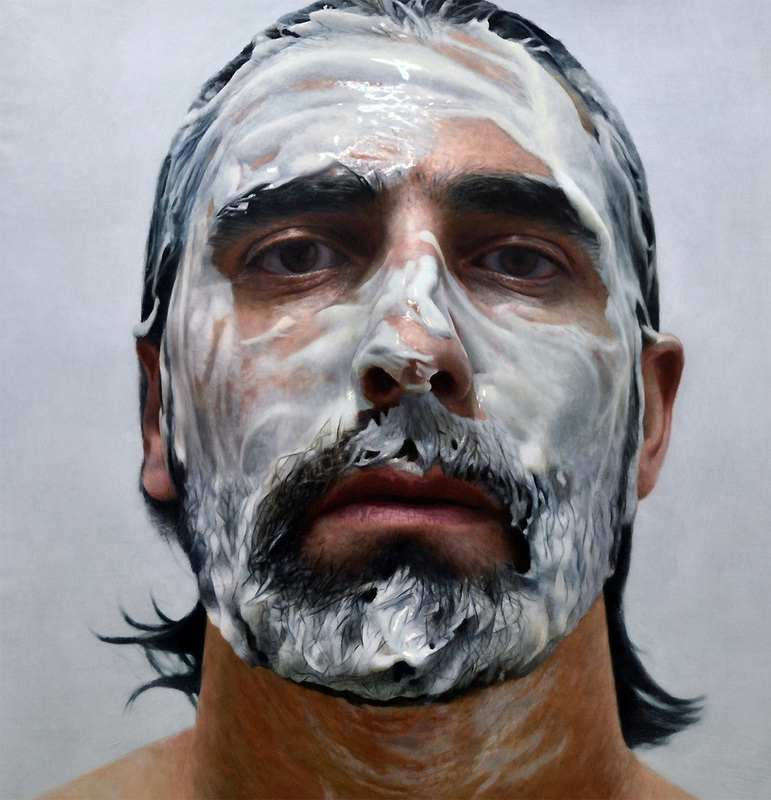 In his paintings and drawings, Eloy Morales creates self-portraits, portraits of friends and family, figure studies, and landscape and interior scenes in styles ranging from photorealistic and naturalistic to imaginative and dreamlike. 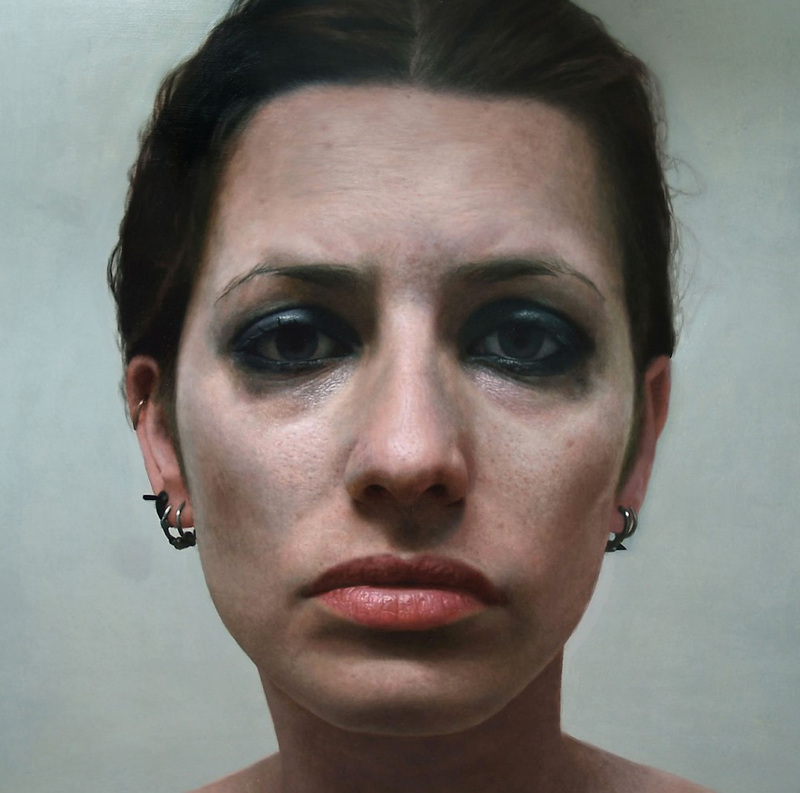 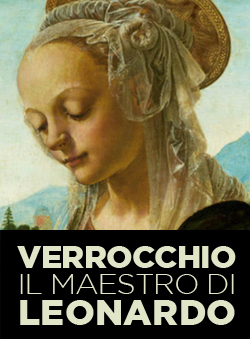 He aims to convey a sense of emotion and feeling. 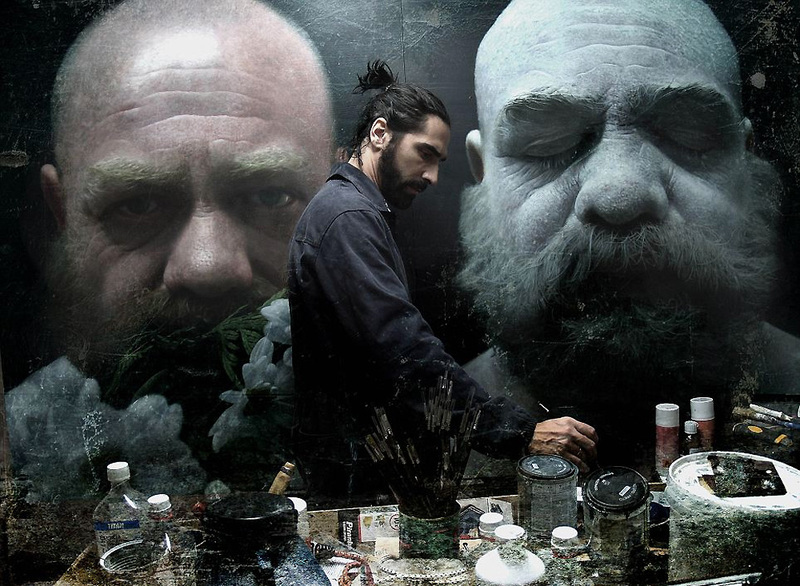 “I try to show my inner world in my work,” he explains. 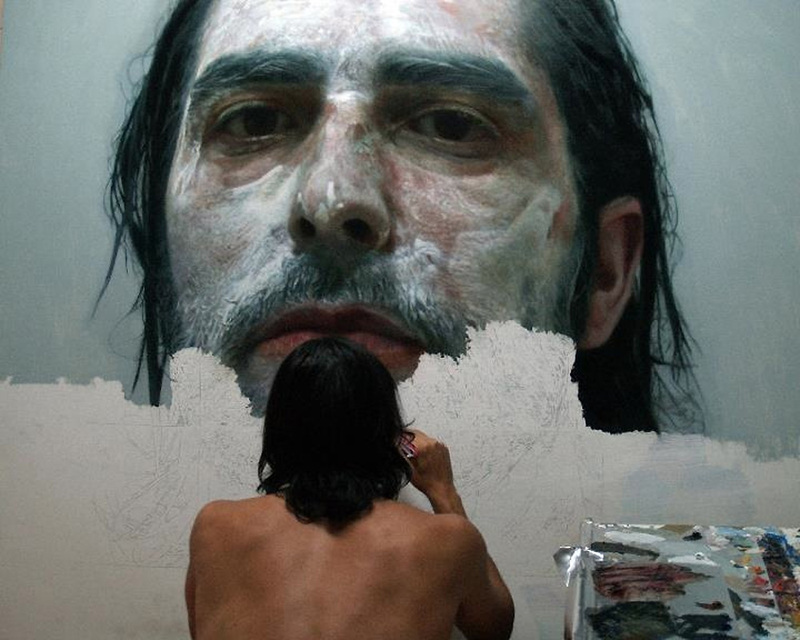 “My images are explicit but they talk of senses and the non-physical.” Morales works in series and can take over a month to complete a single piece. 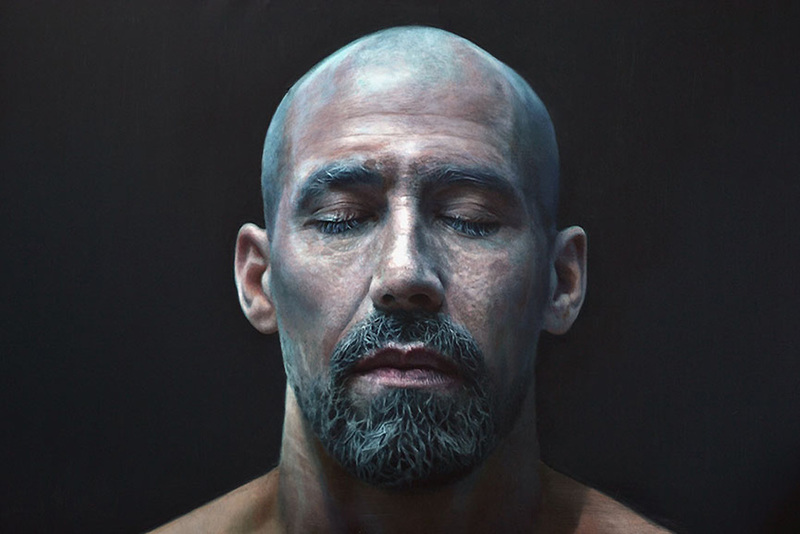 “A Partir de la Cabeza/About Head” is a series of closely framed images of faces. 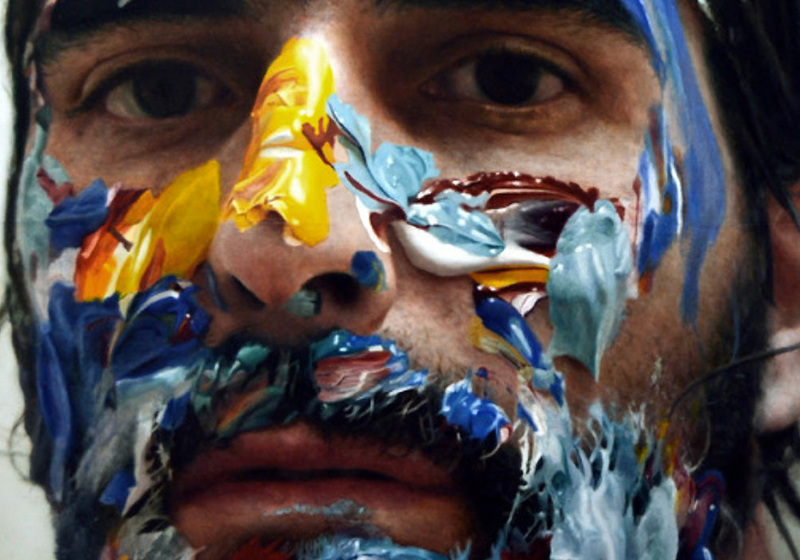 Some of the faces are unadorned while others are smeared with multicolored patches of paint, covered by jewel-toned butterflies, or dotted with whimsical googly eyes.